You can do it all, but you can’t do it all at once. Many people like to brag about how busy they are and how many things they do at the same time. Maybe they would be less likely to take pride in that habit if they knew that it temporarily lowers their IQs by up to 15 points. That means that multitasking is harder on your cognitive abilities than smoking pot (and we all know how sharp pot makes people). Although it may seem that you are getting more done by doing five things at once, in fact you are less productive. The reason is that when you multitask, you don’t devote your full attention to any of the tasks you’re performing. You’re constantly switching gears and changing to another mindset for each task. Every time you move from one task to another your brain has to refocus on the new task. You have to keep picking up where you left off, which requires the time to figure out where you were and get back into it. That means that as you move from watching that YouTube video to working on a presentation to answering an email to checking your Twitter stream, all while sitting in a teleconference, you are not being as productive as you think. Plus, you are much more likely to make mistakes, costing you more time to fix them. This has been borne out by studies in the business world that found a major decrease in accuracy when workers were multitasking. You need focus to not only get things done, but also to get them done well. When you’re working on a particular task, you can get into a flow with it. You get so absorbed in it that you almost become one with it. This is the way you want to be, when you’re fully present, but it doesn’t happen when you multitask. Need more convincing? Take a look at the statistics in this infographic. Then, instead of multitasking, unplug and focus on each task you need to accomplish, one at a time. You will get more done with less stress. 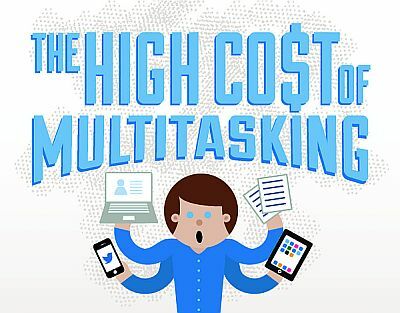 At first glance, it’s shocking to see that 92% admit to multitasking during meetings. To me, this doesn’t mean that too many people multitask—it means that too many meetings move so slow as to allow multitasking. We need briefer stand-up meetings. This would keep sessions on topic and efficient. But also, people couldn’t hide their smartphones on their laps. One of the best things about being self-employed and working from home is NO MEETINGS! There seem to be people in the corporate world who live for meetings, but I always dread them. I agree that standing is one good idea to move them along. 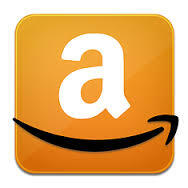 Cathy Stucker recently posted…Is This a Legitimate Mystery Shopping Company?